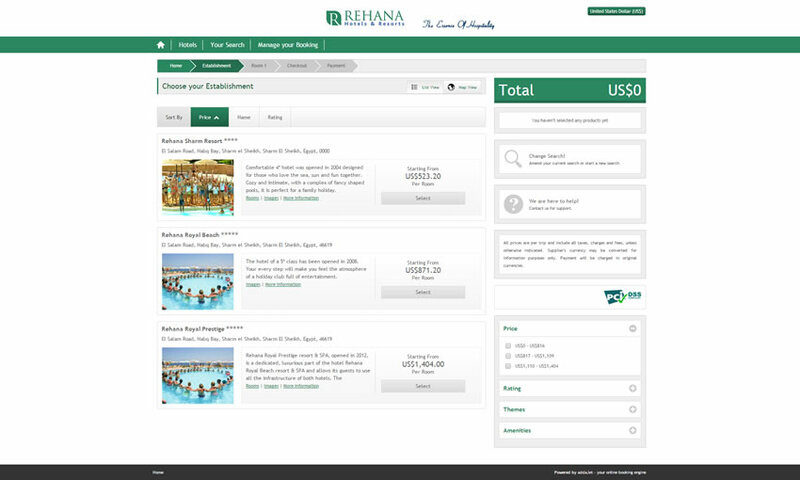 Al Rehana Hotels & Resorts have recently worked with Abakus and addaJet to work on their online presence. The brief was to design and develop a modern website through which they can market their outlets, but also through which they can sell their availability directly. The ultimate result is a modern and fresh website, which does not only convey the branding of the group, but which also helps Al Rehana in their online marketing endeavours.